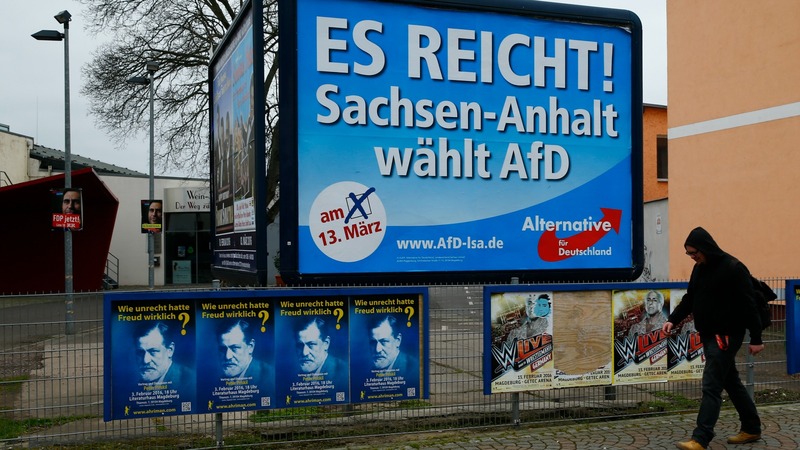 TTIP, taxes, monetary policy: after its breakthrough in three state elections, the Alternative for Germany party (AfD) is trying to get serious on financial issues. However, business leaders see their election success as a threat to Germany’s reputation. EURACTIV Germany reports. 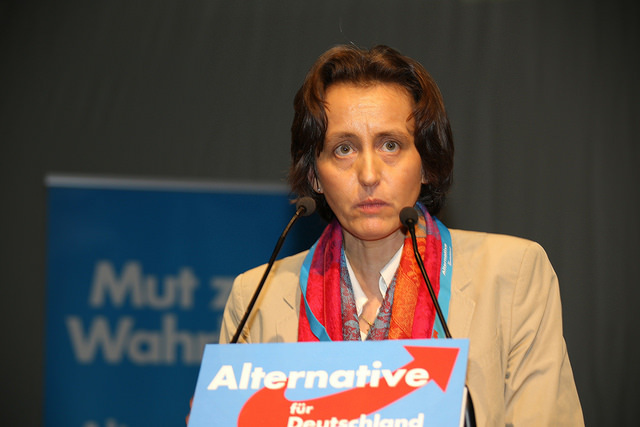 The AfD’s Beatrix von Storch celebrated her party’s success at the weekend with the comment, “We’ve arrived and we are here to stay.” The more established parties certainly felt the shock. SPD leader Sigmar Gabriel called the election results a “turning point” and the Minister-President of Saarland, Annegret Kramp-Karrenbauer (CDU), labelled it a “challenge” to the major parties. Nevertheless, AfD representatives remained in defensive mode. At a Berlin press conference, AfD chairwoman Frauke Petry, as well as their three candidates from the three regions that held elections at the weekend, complained about how the party had been treated during the campaign and the election itself. “We were incredibly stigmatised,” said their Baden-Württemberg candidate, Jörg Meuthen. It appears that this is a situation the other parties are going to have to get used to. Alternative für Deutschland’s links to the far-right Freedom Party of Austria was the final straw for members of the EU Parliament’s European Conservatives and Reformists group, which yesterday (8 March) voted to kick out the German Eurosceptics . Petry and Meuthen, as well as the other two candidates, André Poggenburg and Uwe Junge, sought to demonstrate their credibility and competence in other areas beyond migration. Meuthen stressed that migration is not a crucial area of regional politics “although it does exist”. Instead, he said that he was more concerned with education and cultural policy in Baden-Württemberg, as well as matters concerning income tax and monetary policy. “We have a lot of economic know-how, which will be illustrated in the party’s manifesto at the beginning of May, end of April,” Meuthen added. 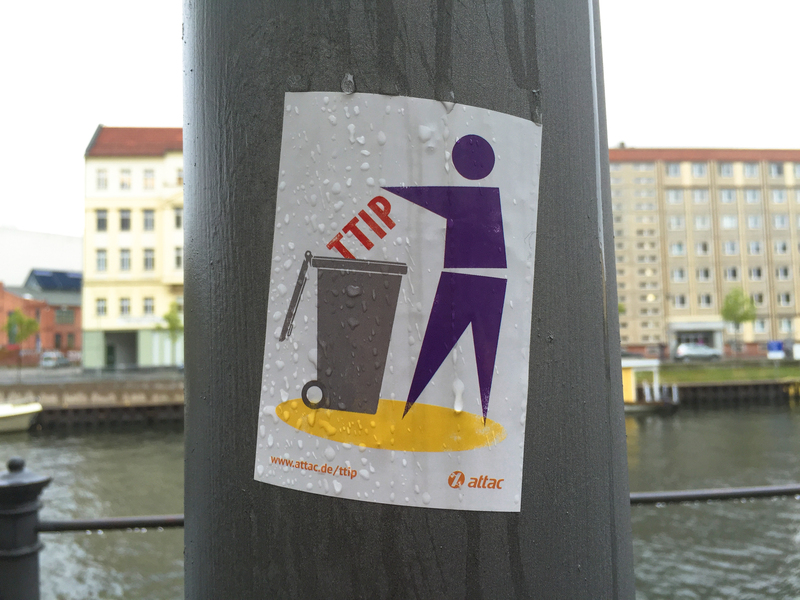 The AfD also wanted to clarify its position on TTIP, the planned free trade agreement between the US and Europe. “TTIP is a new dividing force in Europe along the lines of the Cold War,” said deputy AfD spokesperson, Alexander Gauland, at the same Berlin event. 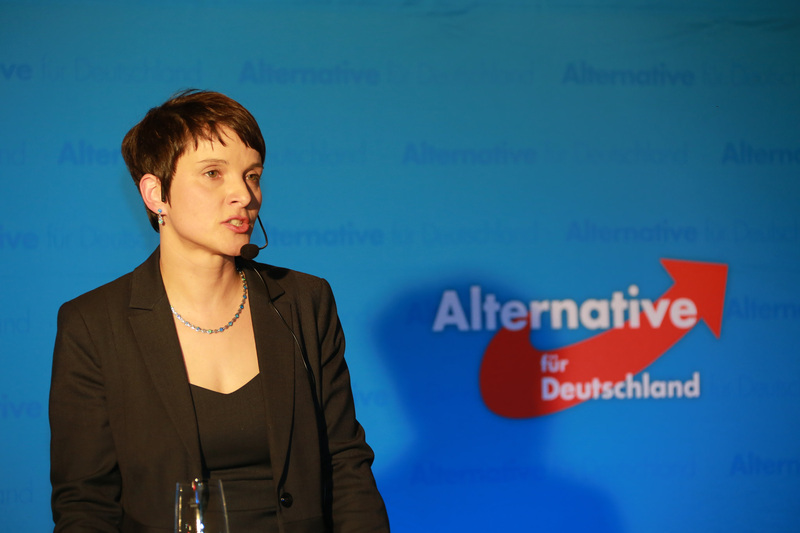 Frauke Petry added that her party was against the agreement, “not because we are against free trade”, but because they believe the rule of law would be overridden. Small and medium businesses should band together against TTIP, she added. What would drive the boss of a Bavarian mechanical engineering company to launch a business initiative against TTIP? Martina Römmelt-Fella detailed her concerns about it to EURACTIV Germany. The party’s representatives also strongly disagreed with many business leaders’ opinion that the AfD’s election gains pose a threat to Germany’s global reputation when it comes to the economy. The President of the Federation of German Industry (BDI), Ulrich Grillo, said that the surge in popularity of right-wing and eurosceptic parties, like the AfD and Die Linke, could discourage investors. Anton Börner, of trade association BGA, said that the AfD’s success showed that there was an anti-European trend in play in Germany. Digital association Bitkom warned that the rise of right-wing parties could cause “massive damage” to the Germany economy. German Chancellor Angela Merkel’s party suffered a major setback in key state polls yesterday (13 March) over her liberal refugee policy, while the right-wing populist AfD recorded a surge as it scooped up support from angry voters. Its amazing how all independent thought is now being branded as Fascism.